Jalandhar: Condemning PPCC Chief Captain Amarinder Singh for allegedly getting him compared with “Mard Agamra”, the religious title used for Guru Gobind Singh ji and Navjot Singh Sidhu’s distortion of the religious couplet used for Guru Gobind Singh ji “Jab tak Congress bahal na karau, Sidhu nam na kehau”. Senior leader of Aam Aadmi Party (AAP) HS Phoolka today said that Congress should be shameful for such acts. 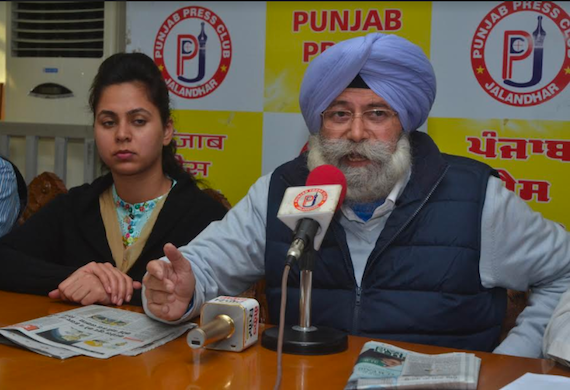 “PPCC Secretary Harbans Singh Pandher compared Captain Amarinder Singh with “Mard Agamra” at Fatehgarh Sahib yesterday, which is highly deplorable and condemnable”, Phoolka said adding that Congress has done so in frustration of smelling humiliating defeat of Congress in the ensuing assembly elections. Congress deliberately did so to disturb the peace of Punjab by instigating Sikhs through this shameful act, Phoolka alleged. Congress leader must have applied his mind before indulging in such a shameful act, he said. 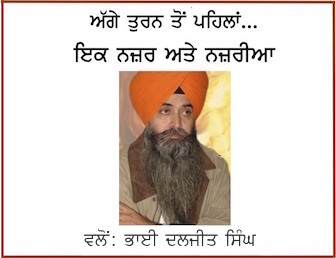 “It is to be noted here that Head Granthi of Fatehgarh Sahib Gurudwara Bhai Harpal Singh has stated that Pandher should be summoned before Shri Akal Takht Sahib for this shameful act”, reads a statement released today by AAP. H. S. Phoolka also criticised new entrant in Congress Navjot Sidhu, who also distorted popular Sikh couplet through his statement in Amritsar in which he reportedly said “Jab tak Congress bahal na karau, Sidhu nam na kehau”. “Doesn’t Sidhu as a Sikh know, what wrong he has done by distorting the religious couplet used for Guru Gobind Singh Ji?” Phoolka quipped revealing that earlier Bikram Majithia did the same during the campaign of Arun Jaitley during Lok Sabha Poll. “Sidhu’s statement itself indicates that Congress was dumped in Punjab and he (Sidhu) was brought by Rahul Gandhi to revive it in Punjab”, Phoolka said adding that even Sidhu would not be able to revive Congress which has already dumped in Punjab by people. “It is pertinent to mention here that SGPC Chief Kirpal Singh Badungar has taken serious note of Sidhu’s act and advised Sidhu to refrain himself from doing such type of shameful act”, AAP statement reads further.